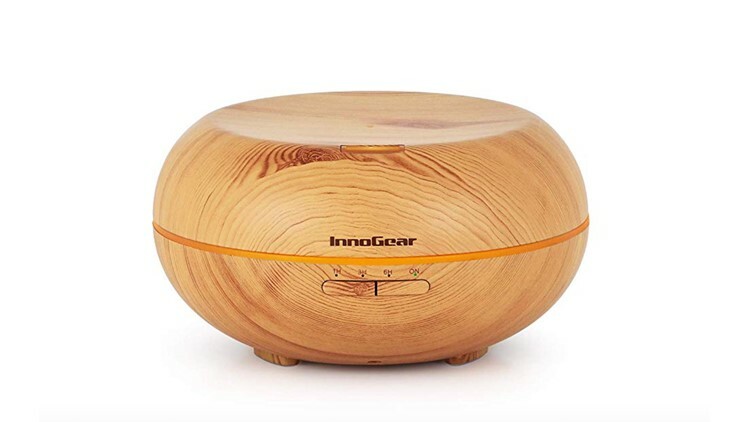 A great deal on a diffuser! Diffusers can help you breathe better, fall asleep faster and can mask all sorts of distractions at home or work. If you're feeling stressed about the election or just looking for a way to sleep better tonight, my favorite deal on Amazon can help you for under $25. I work and regularly sleep during the day in two of the world's busiest cities: New York and Toronto. The sounds of constant construction, blaring horns, and yelling, along with the sounds of an infant, can make it difficult to rest. My favorite solutions are diffusers and humidifiers, and one of my favorite deals today offers the benefits of both. Diffusers add oxygen molecules to the air using an ultrasonic cool mist. Similar to a humidifier, diffusers can help you breathe better, fall asleep faster and can mask all sorts of distractions at home or work. They also have the added benefit of providing aromatherapy, which can help those with chronic stress or respiratory issues. Click the play button to watch a diffuser in action.